2. While waiting for the water to boil, pour the noodle’s seasoning, pepper, and chili powder. 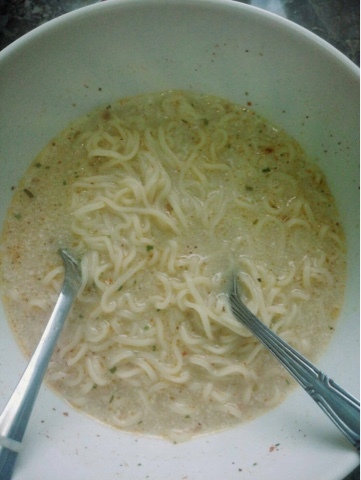 And then after the water is boiled, pour the noodles into the bowl, mix the noodles with the seasonings plus mayonaise. 4. Make a dry flour and wet flour. 7. Mayo noodle with cheese meatballs is already to serve.